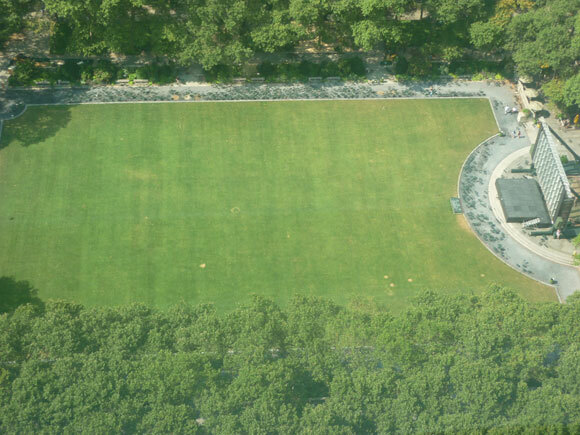 As one of the signature elements of the park, we put much effort into keeping the lawn green all season long. 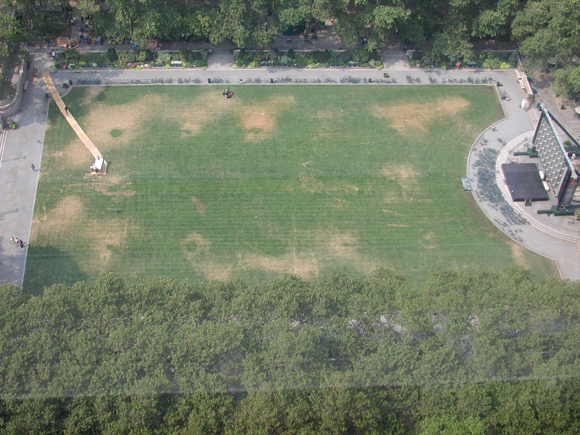 It's a lot of work to maintain the lawn, while it remains open and in use for the multitude of park events like Broadway, yoga, and juggling - each of which causes wear and tear to the green jewel of midtown. This work is complicated by the fact that we have a new lawn each year. The fresh sod laid every Spring always brings its own set of quirks and inconsistencies. This means that our staff must "relearn" the lawn each year, in order to keep it looking fresh. 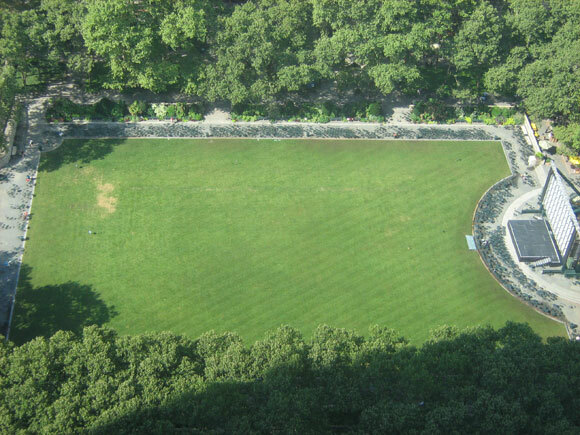 We take a lot of pride in our efforts to use the lawn as much as possible, while also preserving its lush green color. 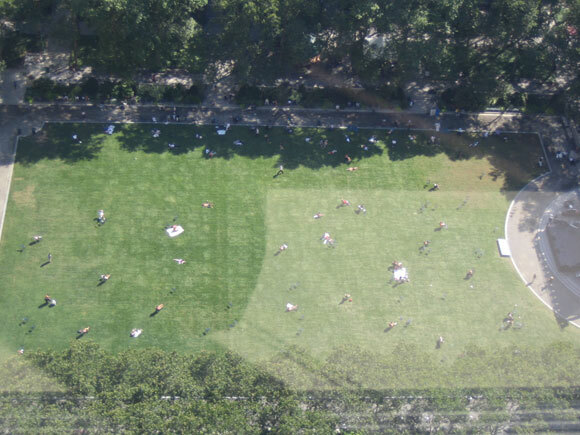 Did you know that we take an aerial photograph of the lawn every morning, so that we can track our progress? All this work pays off, when you take a look back at lawn highlights since 2002, and realize that we're doing something right! Brown spots all around. Load-in for an event is probably underway in the southeast corner. Though you can spot a few brown patches, the lawn doesn't look so bad this year. Only one dry spot to be found! Digital camera quality also seems to be improving. With the improvements to the irrigation system, we see a healthier, greener lawn.